When you finally make the decision to replace your old Denver home’s siding, what should be the next step in the process? While siding is a key element of your home, a siding contractor is a key element for your replacement siding. Contractors take on an immense responsibility, from the overall scope of the project to impending liabilities. Therefore, it is essential to know what to look for in a contractor. Finding the right contractor shouldn’t be difficult. Having a checklist of what to look for in a siding contractor can help alleviate the stress of knowing whether or not you’ve picked the right person for the job. Here are 8 things to consider during your search. A siding contractor without insurance could end up meaning serious disaster. 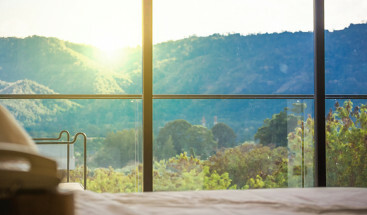 Insurance is one of the most important factors to look for in a contractor— because without proper insurance, any issues that arise fall on your shoulders as the homeowner. A contractor should carry liability insurance, property damage coverage, and workers comp insurance. While a contractor is working to fix your home, problems can occur, and anything a contractor doesn’t have coverage for becomes your responsibility. Don’t let that happen. Every state and every city has its own regulations requiring licensing for contractors. But regardless of what licensing is required, a contractor should be able to provide proof of its licensing. Without hiring a licensed contractor, you could fail to acquire the proper permits for a job, which could result in legal trouble. Licensing means a contractor has proven his competency in his field as well as passed examinations about specific types of projects. A license means an individual or company has a great scope of understanding when it comes to working on your home. What projects have the contractors you are considering worked on before, and what kind of reviews have past clients given them? 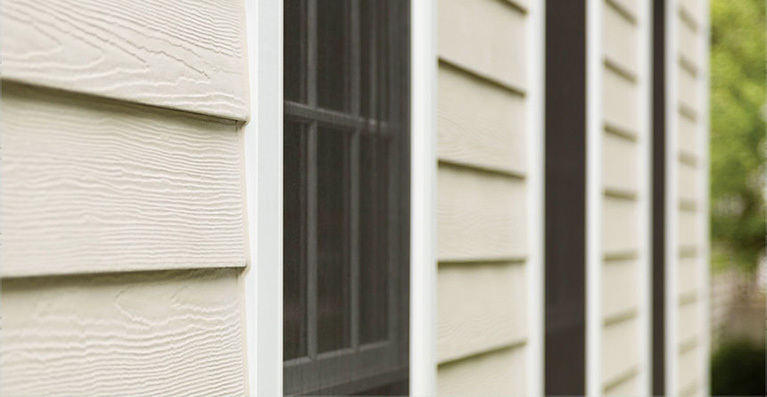 Find a siding contractor with a specific siding installation history. Contractors specialize in specific project types. Look for a contractor whose expertise aligns with your specific siding project needs. Reviews are a great place to garner information on real-life appraisals and results. Past clients can evaluate not only if the project turned out well, but how a contractor managed time, surprises, and potential conflict. A contractor’s pay will consist of labor, fees, and material costs, and a contractor should be able to provide you with a good estimate of the overall project total. While most estimated costs are just that, an estimate, they can give you a better idea of what you can expect to pay. Before officially allowing a contractor to begin work on your project, you should have a detailed understating of what you will be paying for and why, as well as who will be responsible for surprise expenses. You should get no less than three contractor estimates before choosing a contractor. However, don’t be lured in by a low-ball price. While it is good to find an affordable contractor, you get what you pay for. Too low of a price can mean poor workmanship. You should never pay 100% of your project cost up front. Even the Better Business Bureau advises against doing so. A contractor should provide you with a detailed payment plan which allows for payment installations. You should expect to pay a down payment installation at the start of the project (about 50%), which can be negotiable from contractor to contractor. Expect to pay after other significant project milestones as well as the final payment upon project completion. Be sure to have a payment plan in writing. Warranties play a role in the longevity of a project, but not every warranty is equal. 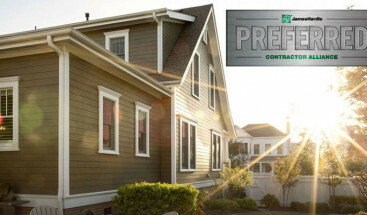 Certain contractors will use siding products that are backed by product warranties. If a product is defective or doesn’t function properly, a warranty can protect your investment. Having a professional properly install your siding keeps the warranties intact. Secondly, a contractor can provide a warranty on his labor and installation. Within the allotted timeframe, a contractor will fix problems that arise, such as peeling caulking or loose boards. Never sign a contract you haven’t read. Many homeowners make the mistake of not fully reading through a contractor’s contract — or even allowing a contractor to begin a project without a contract in place. This can spell disaster later. A good contract should spell out the job descriptions and who will be responsible for what. (For example, a contractor should work with the city to acquire the necessary permits and licenses, so you need to ensure this is spelled out in a contract). It will establish a start date and a completion date that both parties have agreed to and can even provide a solution to conflicts or what procedures should be taken if the scope of the project changes. Be comfortable with and know the details of your contract. Finding a local contractor does more than support local businesses. Location can play a factor in your projects timeframe and cost. It also means that when potential problems arise, you know how and where to reach your contractor. Local contractors are typically more concerned with the quality of work and reputation than large chains. So, hiring locally will often mean a smoother process and a better end product. Finding a siding contractor should not be a cause of stress in your replacement siding project. At Refined Exteriors, we are an award-winning, certified contractor who puts the needs of our clients first. We know the scope of a Denver area siding project, which can help put you at ease throughout the process. If you are ready for a stress-free siding installation, contact us today at (720) 360-1611 for a free consultation.